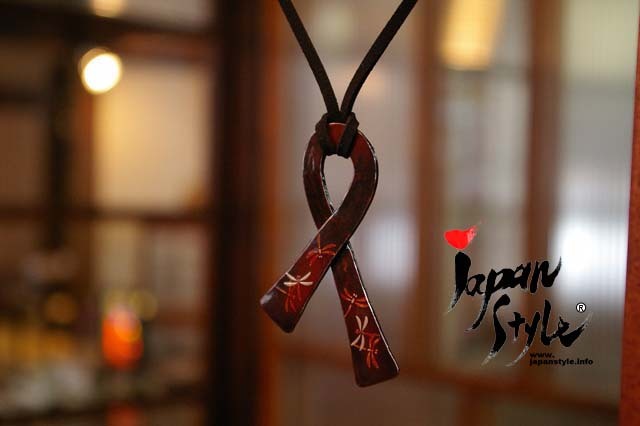 This is the pendant with Nanbu Iron (painted lacquer). The design is dragonfly and it looks like “ribbon”. The Ribbon is a highly significant symbol in our world representing strong relationships and peace. Recently, Nanbu Iron has increasingly gained an international appreciation in the fashion world in such places as New York City and Paris. Today’s popularity of Nanbu Iron can be directly traced back to its roots 400 years ago. How would you like this beautiful pendant for gifts?